Is it silence in music & music in silence? Considering both, what do you think, is it silence into music and/ or music into silence? 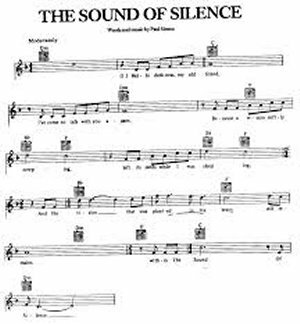 Is silence important in music? Or music important in silence? In my perception, silence is part of music, and music is part of silence - beauty and tranquility. Most people consider both issues not quite possible but I think, by far the principle should work both ways, that it is always silence in music and music in silence. I think that music cannot be expressed, understood and generate certain impact on listeners if does not have parts of silence to induce desired mood and glistening into our souls. Similar to the “color/ non-color” subject (on my other lens The absence of color ) that has to be there in order to amplify the effect of color. In silence (especially perceived as tranquility), music is a constant presence which makes thoughts flow or simply let the spirit enjoy the inner peace. Also, silence, allows one to be an observer for surrounding things and actions listening to the sound of shapes, colors and shadows… open the door for meditation. The modern composer John Cage composed a piece of music that was called 4’33″ in which the performer sits at the instrument for four minutes and 33 seconds and does nothing so that the audience listens to the natural sounds around them and experiences music that is naturally occurring. In regard to John Cage’ 4’33″ – no doubt that he had a great mind to be able, as composer (which should be a sensitive person dedicated to notes, a maestro of combining sounds transforming them into a melodic line), to offer to his public plain silence instead of expected music and the result to be, in fact, a novel experience – silence metamorphosed into music. Music itself has numerous rests in it which are part of the fabric of the music, in the same way that when a person gives a speech they have pauses to create effect and importance and weight on certain words. The modern composer John Cage wrote a piece of music called 4'33"
What do you think about music and silence? Either way, one can say that if organized sound itself is music, then wouldn’t organized silence also be music?…. Or perhaps for some people that is stretching the concept too much….. So, what do you think? Is it silence in music and music in silence?